Send Diwali Gifts to Delhi and surprise your loved ones living in the capital city of the country on the auspicious day of Diwali. Let this Diwali be celebratory for them. 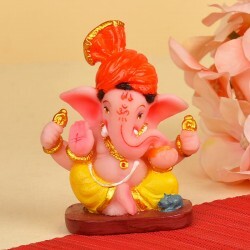 Send special Lakshmi Ganesha idols to them and make their festivities one of a kind with us. 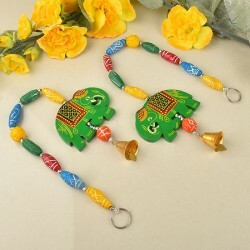 Buy from our extensive Diwali gifts variety. The essence of Diwali festival cannot attain its fulfilment entirety without the exchange of offerings between loved ones because such an action reflects the love that we harbour for our near and dear ones. 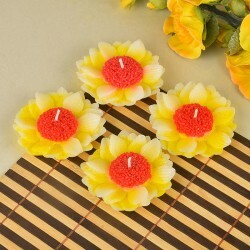 In the spirit of this occasion, MyFlowerTree has come up with a wide variety of Diwali gifts online in Delhi. Sitting miles away from family, friends, and relatives you can still send Diwali gifts to Delhi, ranging from traditional sweets, dry fruits, fresh fruits, crackers, chocolates, idols, flowers, and much more. So this Diwali, make sure to order online Diwali gifts to Delhi to make your family and friends happy with the best gifts, choosing from our wide range of collection. 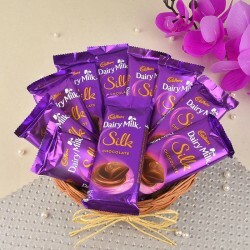 With the ever-increasing demand for corporate Diwali gifts in Delhi, our experts have designed gifts such as chocolate, sweets hamper and we have even come up with special candle combos. 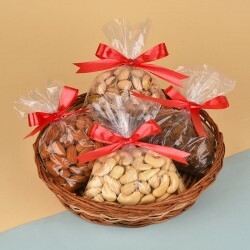 You can also pick from the choicest collection of gift boxes, which consists of dry fruits such as Almonds, Cashew Nuts, Raisins, Pistachios and more. Want to do something new this year when you select online Diwali gifts to Delhi? We have the right options lined up for you. 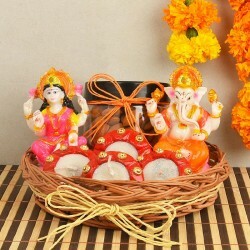 Browse through the Diwali idol, Diwali decorative, Diwali lifestyle gifts and you will be surprised to see the extensive range of options you can select from. 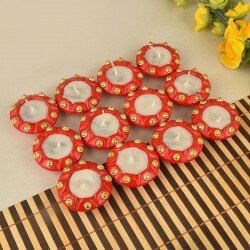 Our Diwali diyas and pooja thali have been especially designed for you so that traditions and the fun of lighting Diwali diyas can be enjoyed to the fullest. You are going to love the colourful, handmade, hand painted diyas that have been handpicked by our team to offer you the best as always! 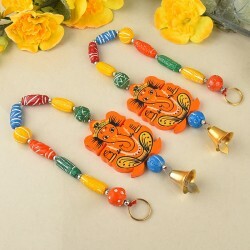 Lakshmi and Ganesha idols and diyas, brass diyas, marble pooja thali are also on the list, in case you want to send elders the kind of gift they would love and expect to get. So, If you are looking to surprise someone on this special occasion, send exclusive Diwali gifts to Delhi from us. During Diwali people look out for special gifts to send to their near and dear ones. 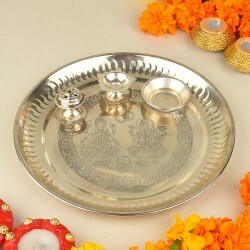 Diwali gift hampers, Diwali sweets, Diwali decorative, Diwali pooja thali, crackers, flowers, idols are some of the most popular gifts people look out for. 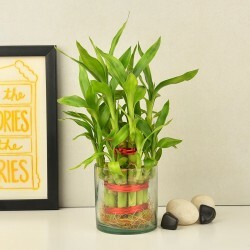 MyFlowerTree has some of the best online Diwali gifts to Delhi lined up for you. Now, you can send online Diwali gifts to Delhi from anywhere with our custom delivery services which allows you to deliver gifts with ease and convenience. You can send Diwali gifts to Mumbai, Kolkata and other metropolitan cities too. Send best Diwali gifts online and spread the festive mood in the air.